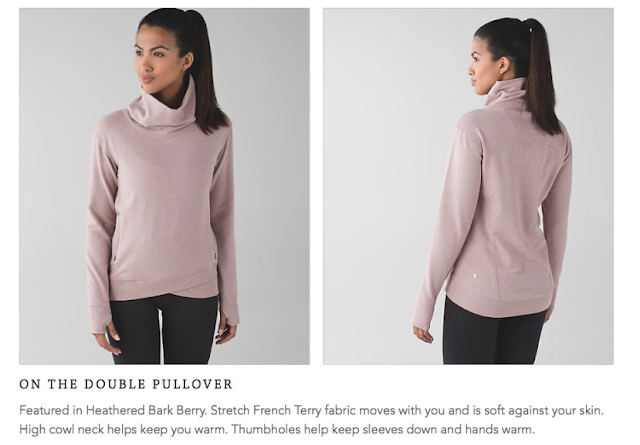 A cute new french terry pullover called the On The Double Pullover. 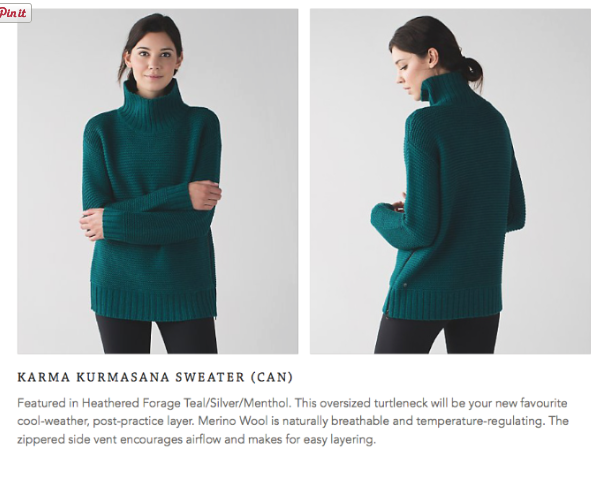 This sweater is already out in Hong Kong. It's cute but I find Merino Wool too itchy. I'm excited to see the Mesh With Me is hitting the US (so soon!) next week. 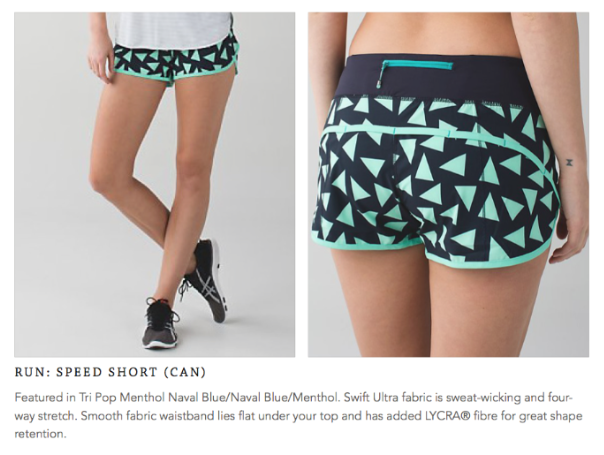 I definitely plan on ordering it. 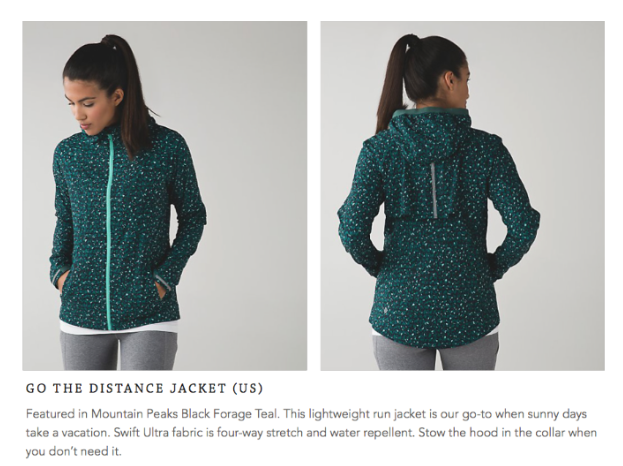 A new color in the Go the Distance Jacket. 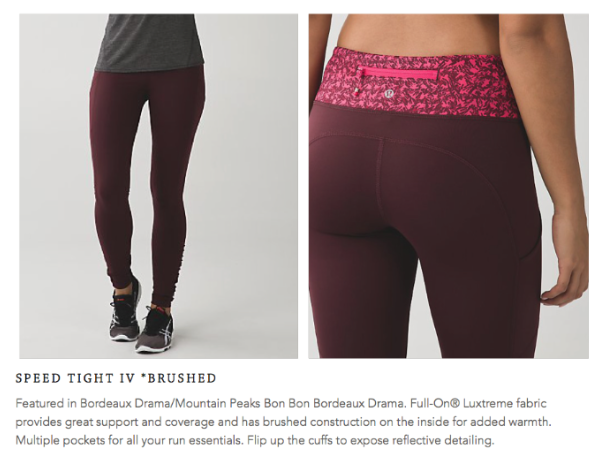 Bordeau Brushed Luxtreme Speed Tights. 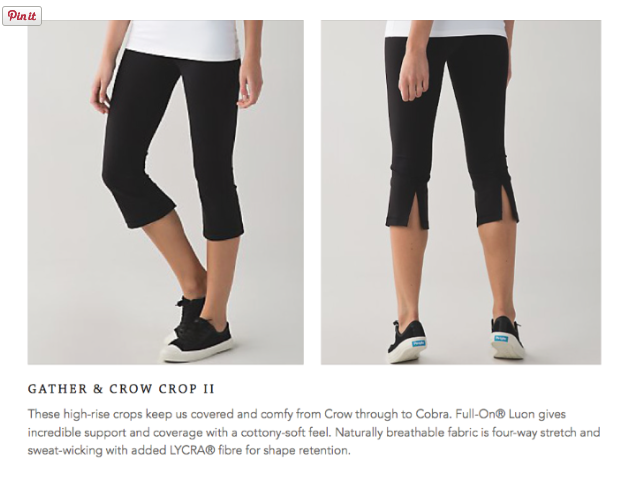 Gather and Crow crops are back with a few tweaks. I got a couple of pairs when they were being phased out and was just contemplating selling them since I never wear them. Does anyone know what shoes she is wearing with the Gather n Crows? TIA! 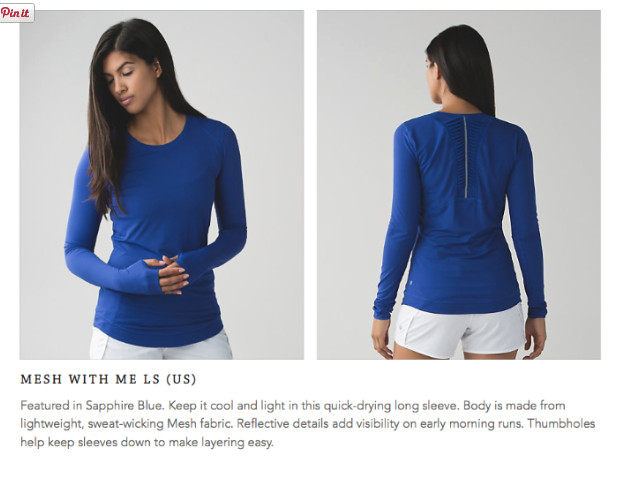 I love the Mesh with Me L/S! I hope it comes in some great colors. LLA - did you receive your fuel green LS swiftly yet? I'm considering ordering it but would love to hear your opinion - is the color vibrant in person? Are you keeping it? Thanks! @ anon 8:40 am - It's coming today. I'll put up some photos comparing to the space dye fuel green I already have. I got it and love it. It is a saturated color but not bright if that makes sense. @Anon 4:43 - Those are People shoes, peoplefootwear dot com. @ anon 8:40 am - It's a nicely saturated green. It's on the grayish side but does look green. I was tempted to keep it but I have the space dye fuel green from last year, which I totally forgot when I ordered this new one. @Stacey Conley - thank you re the shoes!